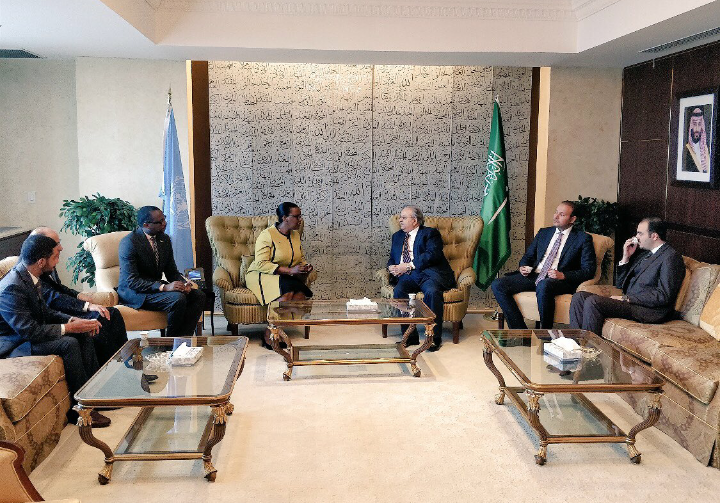 Yesterday, Rwanda’s permanent representative to the United Nations, Ambassador Valentine Rugwabiza held talks with her Saudi counterpart Abdallah Yahya Al-Mouallimi – the Permanent Representative of Saudi Arabia to the United Nations. The two officials signed several bilateral agreements. “Was honored to sign on behalf of Rwanda Government the establishment of diplomatic relations with the Kingdom of Saudi Arabia,” Ambassador Rugwabiza tweeted. “We shared the vast opportunities in investment and development cooperation opened by this milestone in our relations,” she added. Saud Arabia’s new turn to Rwanda marks big development between both countries. Since 2006, several officials from Saudi Arabia have been visiting Rwanda to cement relations.